The European Research Group (ERG) is made up of Brexit-backing Conservative MPs, which acts a pressure group lobbying the government to take a stronger position in negotiations with the EU. Elegant speaker and pro-Brexit MP Jacob Rees-Mogg was elected unopposed to lead the group. 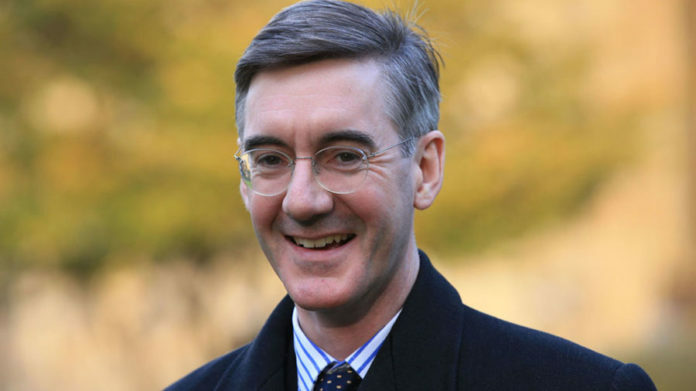 The passionate Mr Rees-Mogg is bookmakers’ current favourite to be the next Conservative party leader, and this could be seen as a huge boost for the ERG’s profile and influence. Jacob Rees-Mogg said he would use the role to “help the government implement the principles laid down by the prime minister…in her Lancaster House speech,” referring to Theresa May’s Brexit strategy as set out in January 2017. “It is especially important to achieve control of our laws, control immigration and achieve new trade agreements with other countries. The ERG speaks individually, not with the collective view, but has considerable support across the parliamentary party. As chairman I intend to be helpful, vigorous and supportive towards government policy of making a success of Brexit,” he said. In a draft EU directive, obtained by POLITICO, the EU have proposed extending the deadline by which EU citizens living in Britain can claim a special residency status to the EU’s preferred end for the transition of December 31, 2020 — 21 months after the UK’s official withdrawal date. Mr Rees-Mogg warned the government would be going against its own policy if it accepted the EU’s position.